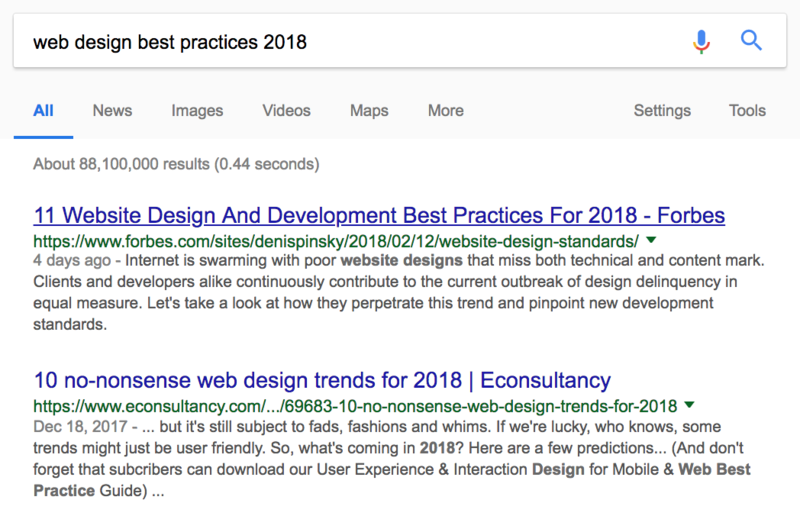 Best practices can be a wonderful thing, guiding you towards better website designs, marketing strategies and everything you could possibly need to build a better business. The problem is best practices can also kill your conversion rates. A lot of brands, designers and marketers put too much faith in best practices, which is a dangerous path to follow. Here are seven best practices that can kill your conversion rate. The narrative behind most mobile optimisation best practices is that mobile users are more important. It’s not a sophisticated deduction by means. Most user sessions now happen on mobile, therefore they must be more important. This is what we call an assumption. Yes, mobile traffic has boomed since smartphones hit the scene and, yes, it’s important to optimise for mobile users. But it’s a mistake to assume these are the people who are most likely to convert. 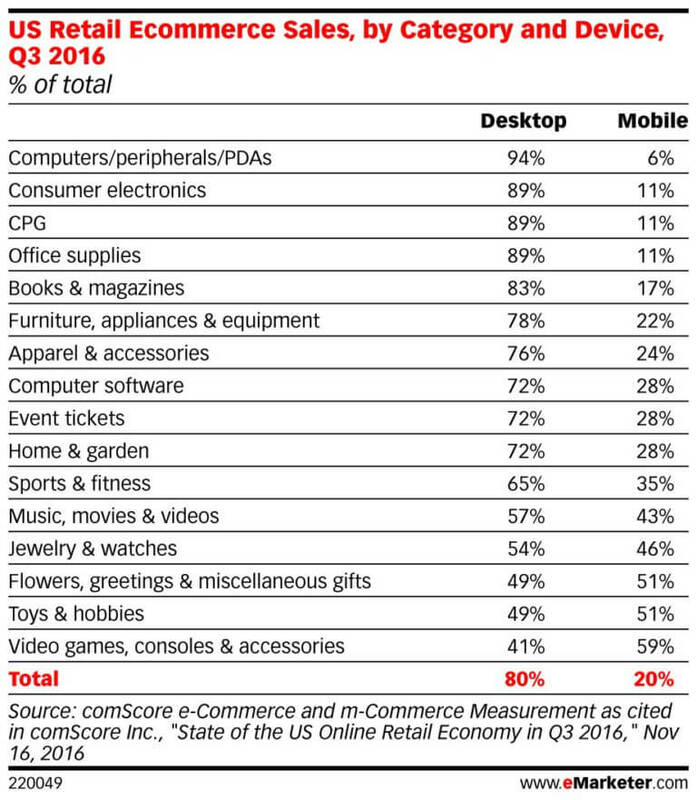 There are various reasons conversion rates are higher on desktop and we’re not going to get into this today. Just remember: mobile users aren’t the be-all and end-all of conversion optimisation. I’m a big fan of this best practice and this is the first thing I would tell any new content publisher. Google makes a point of telling this to publishers, marketers and everyone else in the content game as well. Sooner or later, though, our friend the new content publisher is going to realise something doesn’t quite fit. After investing heavily in content production and creating the best stuff in his industry, why isn’t the magic happening? Every time they type their keywords into Google all they see is naff content from Forbes and all the other usual names. Clearly, Forbes isn’t creating content with its users in mind or the kind of user experience Google constantly tells us is so important. Sorry folks, quality content isn’t enough to get you to the top of Google and the highest-ranking publishers constantly prove it’s not even much of a requirement. This one’s pretty obvious, isn’t it? The whole reason we have marketing strategies like conversion rate optimisation is because more conversions are better – always. Every A/B test you read about is geared towards boosting conversions and their success or failure relies on that single metric increasing. What about campaigns where you want to decrease conversion, though? Yes, that’s right. I said decrease conversions. Because sometimes you might want to reduce the percentage of users signing up for your newsletter, for example, because too few of them are turning into paying customers. You might decide it’s more profitable and more manageable to convert a smaller percentage of users – the ones that are most likely to turn into paying customers and forget about the rest. Sometimes quality is better than quantity. The worst assumption you can make in conversion rate optimisation is that reducing friction will always have a positive result. Friction isn’t always a bad thing. In fact, you can use it in a number of ways improve user experiences, increase the quality of leads and even boost conversion rates. A good example would be confirmation emails. Despite adding a number of extra steps in the signup process they serve two important purposes: they tell users their account was successfully set up and they give you the chance to confirm they’re a real person, not a bot. Likewise, showing users a bunch of related items before they a pay for the items in their basket could result in more sales. Or asking users if they want to save the items in their shopping basket when they try to quit the session could save you a valuable lead. Closely related to the less friction = more conversions idea, shot forms are widely considered to be better for conversion rates than longer ones. This isn’t always the case, though, as we’ve found in various tests over the years. We’re not the only ones either. Former Unbounce conversion optimiser Michael Aagaard came across similar test results during his time with the company. There are various reasons this can happen. Longer forms can appear more trustworthy for certain types of conversion, for example. While users expect something like an account application for to be longer than a simple login form. With Leadformly, we use conditional logic to add fields to our interactive forms, creating a more immersive experience for users. This also allows us to segment the leads we generate forms and follow them up with more targeted messages. If you’re in the eCommerce business you’ll have heard about the importance of adding security badges to your website. There’s a good chance you’ll have tried them on your homepage and it’s widely recommended you put them on payment pages to help buyers feel more confident when they complete the purchase. As this study from Get Elastic shows, adding security badges doesn’t always have a positive impact on conversion rates. It turns out reminding people about the potential risks of buying online can actually become more of a deterrent than trying to ease their concerns. The lesson is to test out different trust factors on your site to check they have the result you’re hoping for. However, this brings us to our last best practice that can kill your conversion rate. 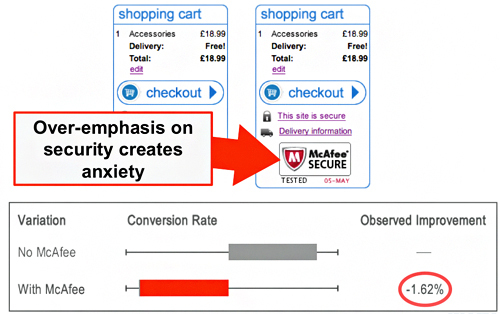 This is one of the most dangerous best practices in conversion rate optimisation, mostly pushed by CRO experts and companies selling CRO software. Running successful A/B or multivariate tests isn’t only tricky, it’s also time-consuming. There are only so many tests you can expect to conduct and you want to make sure they have the most significant impact. For example, you want to know which landing page design converts more effectively or which ad generates the most clickthroughs. Focus your CRO efforts on the things that really impact conversion rates – like page designs, content, CTAs, forms and other crucial deciding factors. Best practices are perfectly useful as long as you don’t become over-reliant on them. Sure, treat them as general guidelines but always question how they apply to what you’re designing and how you’re crafting your marketing strategy. 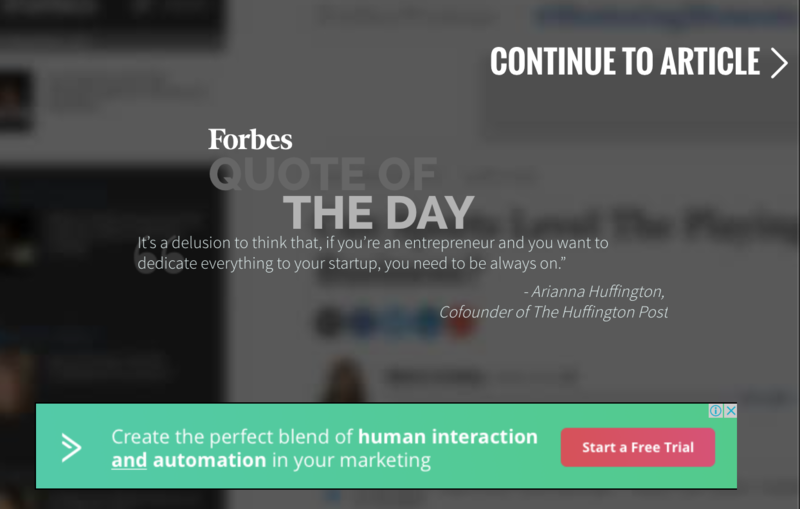 If best practices always worked nobody would be using popups on their website or paying for guest post opportunities. In the real world, best practices don’t always pan out. They may have worked for any number of brands in specific use cases in the past but this doesn’t mean anything when it comes to dealing with your own users.